Here at Bornbrite® we believe everyone should be happy and get along. On this entry you’ll meet Calin, Abu, Gory, Nena and Tato! They are the 5 charming characters who help us unite more and more families, and aim to build stronger bonds between them. The leader of the party and keeper of their hearts! 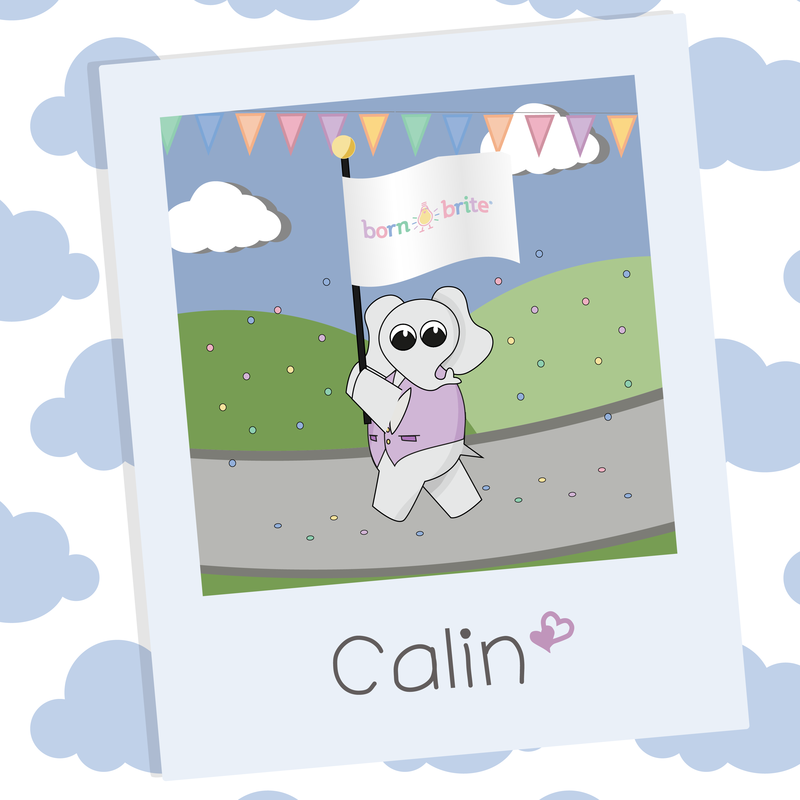 Calin always looks at the bright side of things and knows the kind of support his friends need from him. With his big ears he can listen to every child who laughs around the world, and his immense heart can love every one of them. Sometimes he likes to role play with his friends, dreaming about being pilots so everyone could fly like Nena, and other times he likes to gaze at the stars trying to understand how to create happiness for everyone; but what he likes the most is to be the storyteller who travels through different memories and dreams along with his pals. 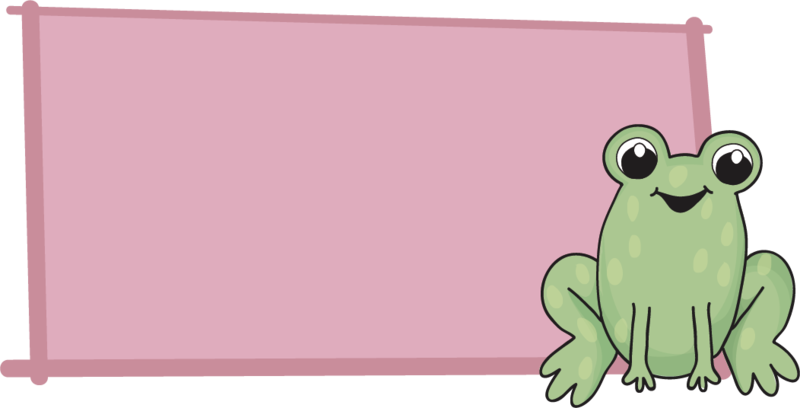 Abu’s favorite thing to do in the whole world is to surf on leaves through ponds, lakes, seas and oceans! He says it helps him have a clear mind, specially in those times when he can’t decide between his food cravings! Even though he rushes through waves, you will never catch him hurrying through a thought or decision. He is the reasoning and sensible voice inside everyone’s mind. 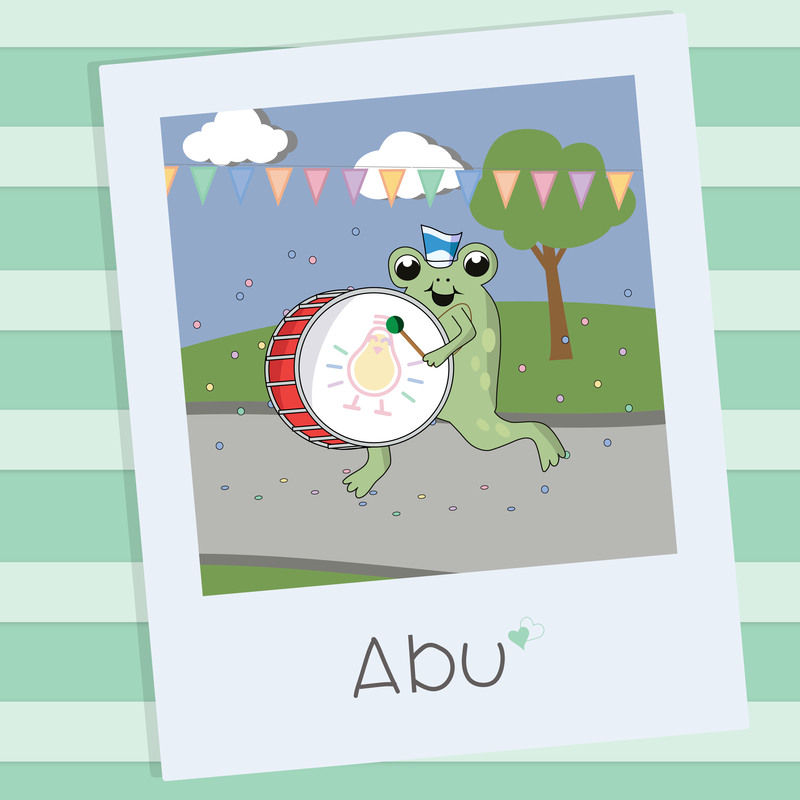 When Abu met Calin he was genuinely happy to go on an adventure with him. It meant he could explore everything that was out there and expand his knowledge beyond the Great Wall of China. This adorable sheep is the most caring gal in town! She is a sensitive girl who loves to dance and play tea-house with the gang. 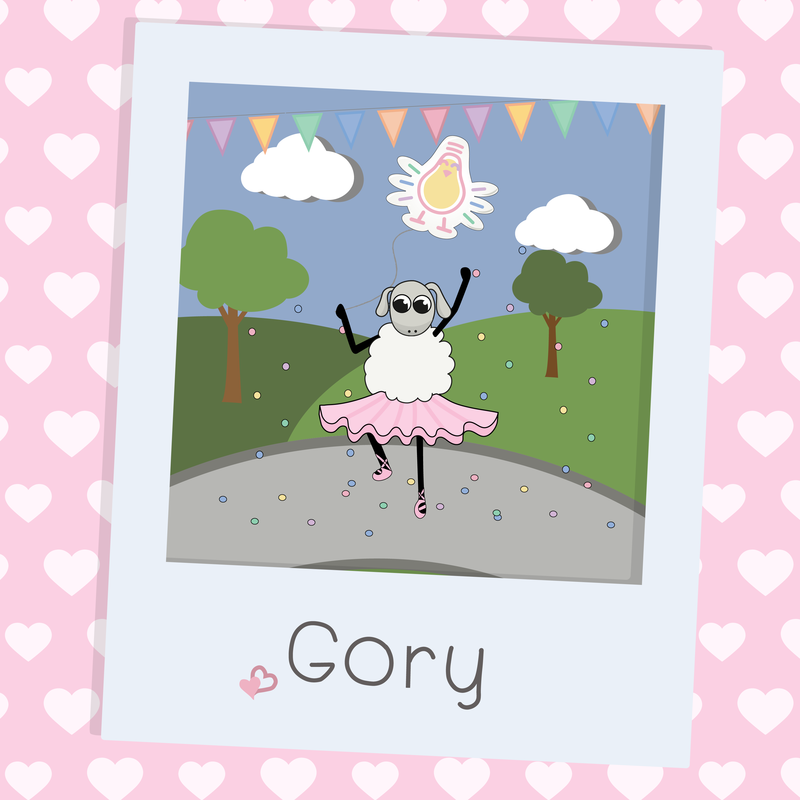 Gory’s tea-parties are the main event of every Thursday evening; she’ll bake delicious pastries in many flavors (and sizes!) for everyone else to enjoy while chatting. Her hugs are the best medicine for sad or gloomy days; they are soft and warm and will make you feel like embracing a cozy cloud on a sunny day. There are many things Gory wishes to do, many adventures and places to travel: like a party in a waterfall, or dinner on top of the Eiffel tower… But she knows she wouldn’t enjoy it or be as happy if her best friends weren’t around to go along. Sometimes Nena flies so high you can’t even see her! With the wind blowing through her wings she is free to go anywhere she wants. Nena drifts from one place to another, observing and taking notes of all the details she comes across. This way she keeps a “memory-scrapbook” of everything she wishes to dream of at night. She may be a little shy, but her imagination flies even higher than the atmosphere. You could say Nena is the personification of all dreamers, since she literally holds the fantasies of all children inside of her. Meet the funniest guy who’ll always make you laugh! Tato is a natural joker, the best for those times when life should be taken less serious and more lightly because what’s the point of getting worked up on something when you can always tap dance your way out of an irritable situation? 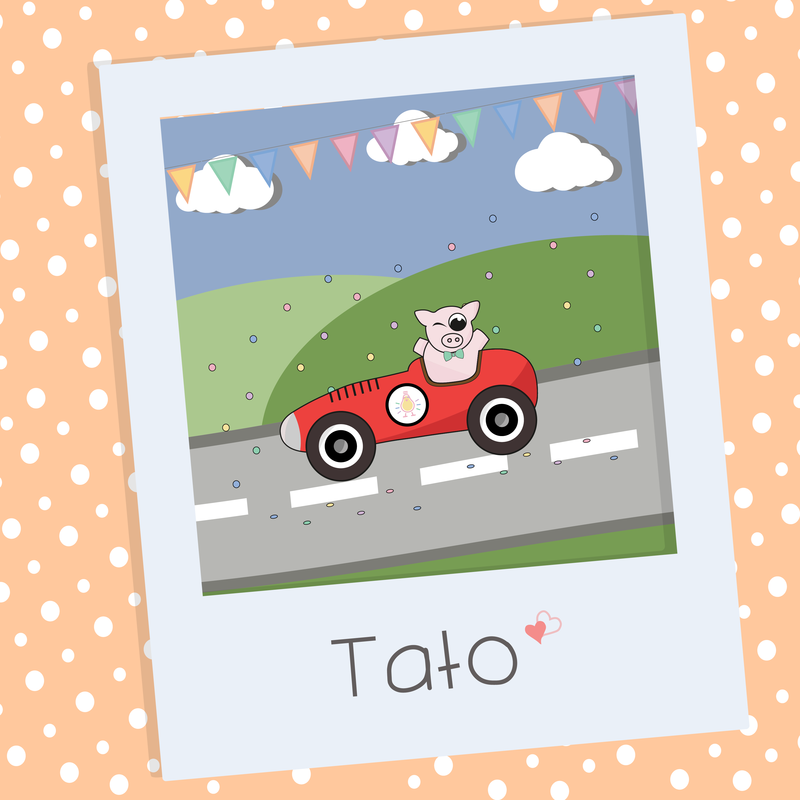 Tato’s favorite hobby is cooking! Pizza, pasta, cannolis and lasagna are some of his favorite recipes among other delicious treats for his pals. But beware of this silly guy and don’t be surprised if the pizza has gummy bears instead of pepperoni or your milkshake is black coffee flavored instead of chocolate! 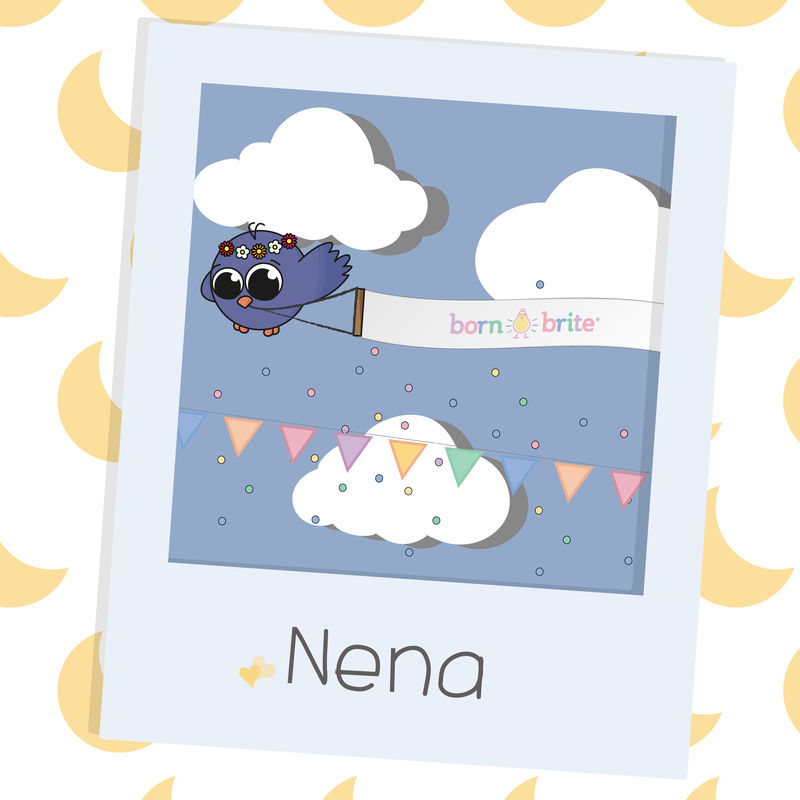 Next Next post: Welcome to a Bornbrite® play!